The Heart & Body Naturals 6/1 Meal Plan is not a diet but a delicious lifestyle. A simple, easy-to-follow, lifestyle that everyone can be successful with and that doesn't leave anyone feeling deprived. Best of all, no matter what plan you are currently following; Keto, Paleo, Atkins, Weight Watchers, etc. - the 6/1 Meal Plan works seamlessly with all existing plans or you can adopt it as your new favorite plan and lifestyle. Six days a week you will 'mix & match' your meals from our easy to follow 6/1 Meal Plan chart. You will select one food choice from either the fruits, starches, or proteins category and then combine it with unlimited amounts of food choices in category 4, non-starchy vegetables. It's easy meal planning at its best and you are never deprived of a specific food type because you choose if you are going to enjoy a protein or a starch and then fill your plate with unlimited amounts of vegetables. When designing the Go Clean & Lean 6/1 Meal Plan we focused on foods that taste great, are known to reduce inflammation, and combine well in the digestive tract for optimal nutrient absorption and pH balance. While you'll lose weight, you'll also experience increased energy, better focus, improved sleep, less pain, and a radiant natural beauty because although it's cliché, you truly are what you eat. Six days a week, you'll plan your meals by picking one food from Category 1 (fruits), Category 2 (starches), or Category 3 (proteins). Then choose unlimited raw or cooked non-starchy vegetables from Category 4 (free foods). You'll eat when you're hungry, not at any specific time of the day or at any specific mealtime. Always eat fruit, melons, nuts, and seeds either for breakfast, alone, or 4 hours after eating anything else. Enjoy one healthy cheat day per week. Many of our users tell us that the combination of SLIMMER and VITALITEA creates a significant decrease in their appetite so they're only eating 1 or 2 small meals a day, a piece of fruit for breakfast, and snacking on vegetables and soup. 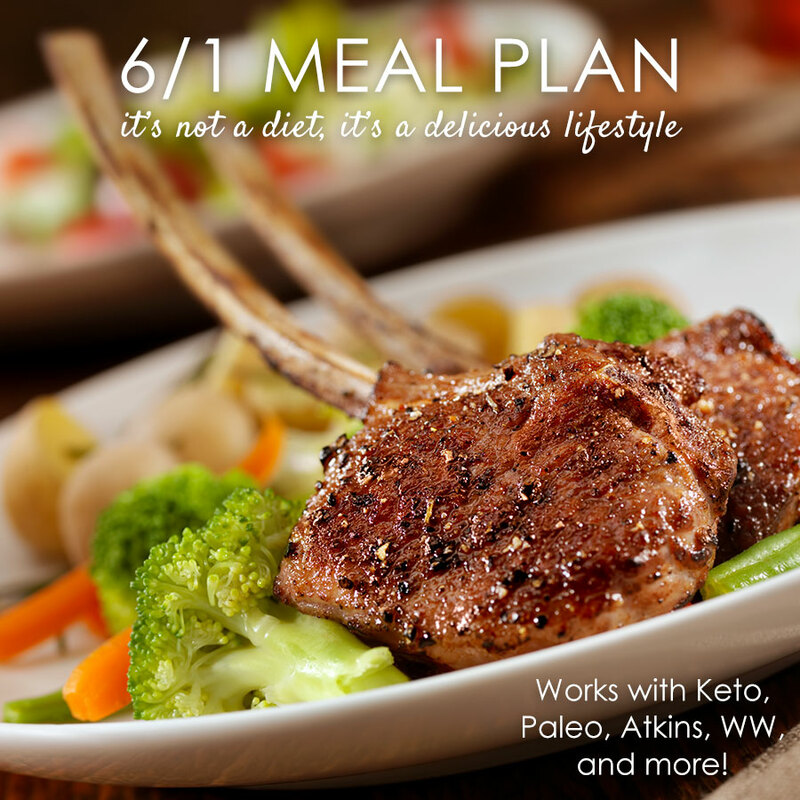 The 6/1 Meal Plan focuses on unlimited amounts of foods that help the body with inflammation and combining foods that work together efficiently to assist with digestion so that you do not have undigested food sitting in the digestive tract that will putrefy, creating a toxic environment that makes your blood more acidic and allows yeast, viruses, and parasites to grow inside you. We don't eliminate types of food, so you never feel deprived. Instead, we teach you how to combine foods the body can break down properly together. For example, since proteins, carbohydrates, and fats all digest in different ways, sometimes they can interfere with each other in the digestive system, which is what causes a gassy, bloated feeling. By properly combining foods you can enhance digestion, reduce bloating, speed up elimination, and increase energy so that your digestive tract does not have to work so hard to absorb the nutrients you need for energy.